This scenario applies when a buyer has selected Escrow as the payment method and needs to proceed to deposit the funds to be held in the account until seller provides proof of shipment. When the software determines that the buyer already has sufficient funds in the account balance, the funds will be debited to start the order and speed up the shipping process when paying with an escrow account. Additionally, when the software determines that the buyer does NOT have sufficient funds in their account balance they will see a link to “Deposit Funds”. 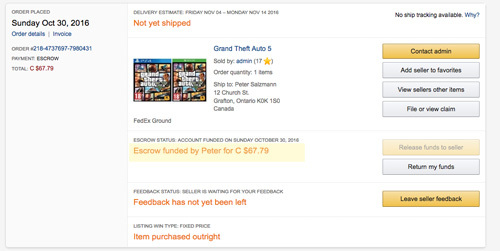 This allows buyers to move money into their “Account Balance” to make an Escrow Payment for an item order if “deposit funds” feature is enabled in the marketplace.